Thanks to SCCHI for the scans. This month's Pash! 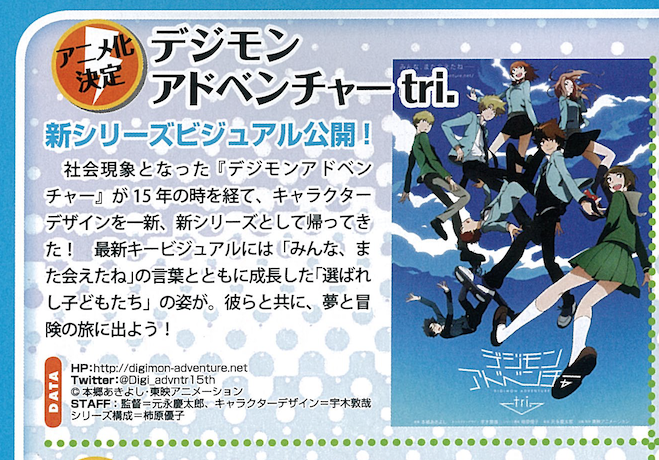 and Animage anime magazines have confirmed that Digimon Adventure tri. 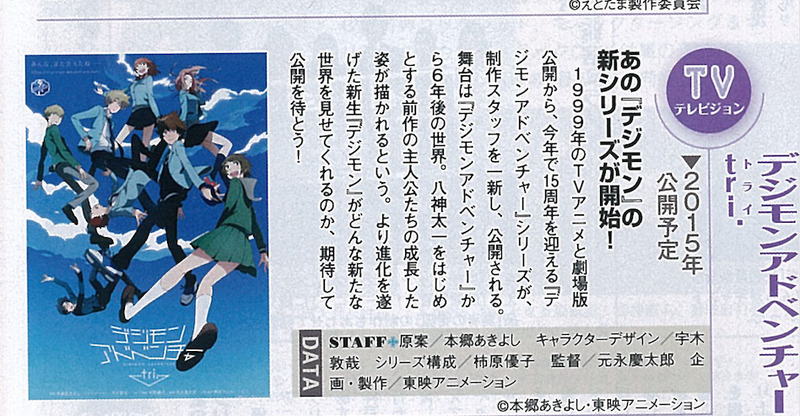 will be a TV anime. Although most of us assumed this already and there are many evidences to prove it, but the mag has stated. If you look back to the older posts about tri. info, you will surprisingly find out that the keyword "TV" have never appeared. Do we know which of the original voice actors will reprise their role for the new series? Thank you for these news as usual!